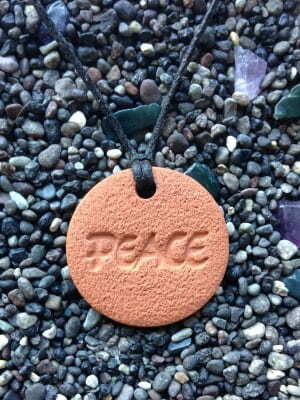 The Peace Pendant measures 2.9 cm across (1 1/8 in). Beautiful pendant. Using with Lavendar oil makes one feel the peace of the word.